The County Clerk was a senior official in local government and acted as a record keeper within the organisation. The papers include records relating to every function within the council including (but not limited to) education, environment, licensing, public health, libraries, policing, fire service and agriculture. The project involves looking through previously unseen material, repackaging if necessary, removing all metal attachments such as paperclips, pins and treasury tags which rust and cause damage to the document and list the content (see photograph above!). The work is supervised by an archivist at all times and guidance and instruction is provided throughout the session. We are looking for volunteers from a range of backgrounds. You can be any age and looking to learn a new skill or expand your CV, get some work experience, or gain some local knowledge. Volunteering also supports people returning to work after a period of unemployment, by providing training in new skills and experience in new sectors. You can find out more about this volunteer role, including an application form, on our new webpage. We have decided to try something new this month and invite a guest blogger to write for us. 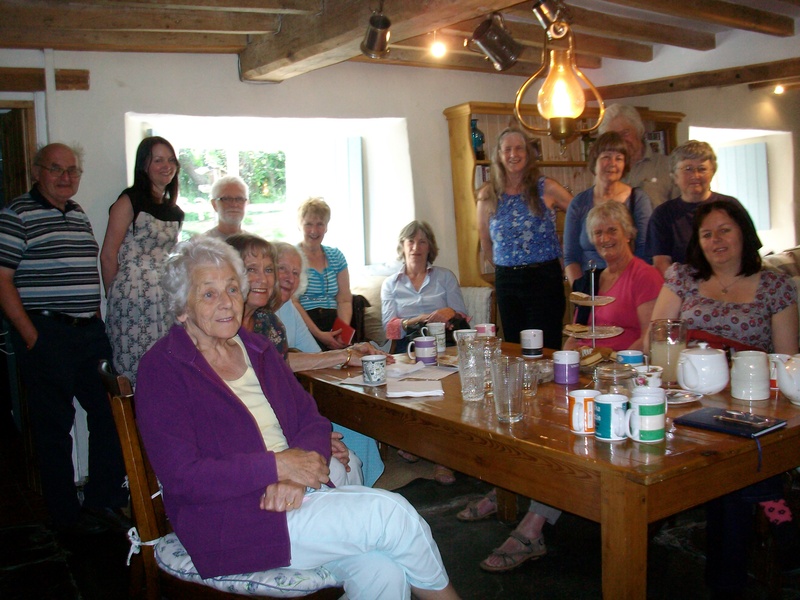 This month it is Janice Dale telling us about the Dating Old Welsh Houses group in Denbighshire…..
“If you use a search engine and persevere and get past the dating websites, you will come across the website for the Dating Old Welsh Houses Group, and I would like to think your curiosity will make you click on it, because if you do you will find a treasure trove of research on work carried out by the members of this group. Branch-led activitiesin Anglesey & Caernarfonshire, Conwy, Denbighshire, & Merionethshire. The branches, encourage members to research their own houses, other houses which have been identified as ‘old’, the history of the families who have lived in these houses and even to the family’s pre and post occupation. We also look at land ownership and will research any other area which broadly fits in with the aims of the group. 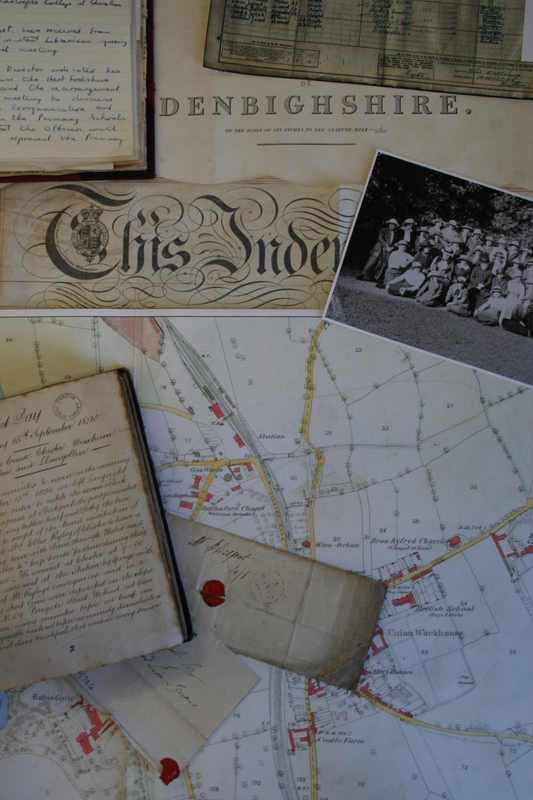 In the Denbighshire Branch we are working on a ‘Cynwyd Scrapbook’; working in conjunction with the National Library of Wales on land ownership from the tithe maps, with members transcribing schedules for Llandrillo, Llangar, Corwen, and eventually Gwyddelwern. We are focussing on Edeyrnion first, but hoping to roll out this project to cover a wider area. Other members are looking at the history their own houses in Ruthin, Llangar, Cynwyd, Glyndyrfrdwy and Corwen.